Max Verstappen has won the Mexican grand prix tonight, with Lewis Hamilton finishing off the podium to clinch his fifth world title. A rocket start from Hamilton meant he and Verstappen were attacking into the first corner, with the Dutchman coming out ahead. He maintained the lead throughout the race ahead of both Ferraris while Hamilton wound up fourth, cruising to save tyres. The Brit only needed a 7th place finish to win the title. He struggled with pace at times and was not able to stick with Max, complaining that his tyres were not good enough when fresh to stick with his competitors. Vettel, started on the second row and dropped back after a tussle with Bottas, but fought back to take fourth position. Despite strong pace throughout the rest of the race, he was not able to catch Verstappen for the win. Carlos Sainz’ stricken car provided a virtual safety car broke up the potential Vettel/Ricciardo battle, but eventually it was resumed and the German passed him on lap 34. He then caught Hamilton at lap 39 and forced an error, with the champion in waiting going straight on into turn 1. Just moments later, Bottas made the same mistake and lost sixth to Raikkonen. 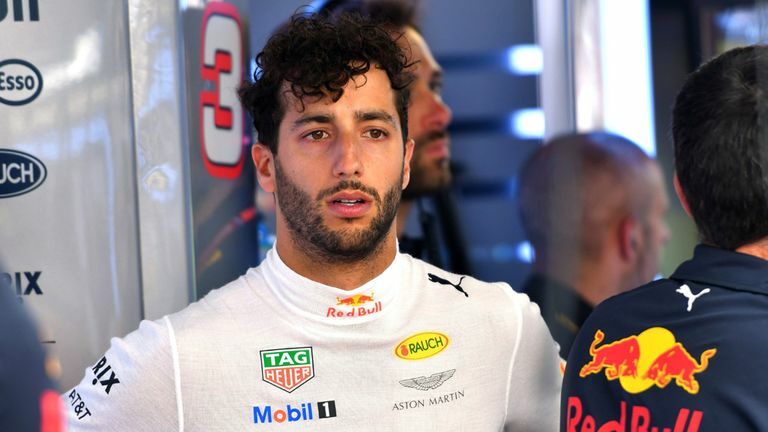 Ricciardo was used as a buffer for Verstappen and stayed out for some 45 laps on a set of tyres, but with 10 laps to go, smoke appeared from the back of his car, leading to a complete failure, the pole sitter was out. Max, obviously worried about suffering the same fate was heard on the radio several times asking for his engine to be turned down. 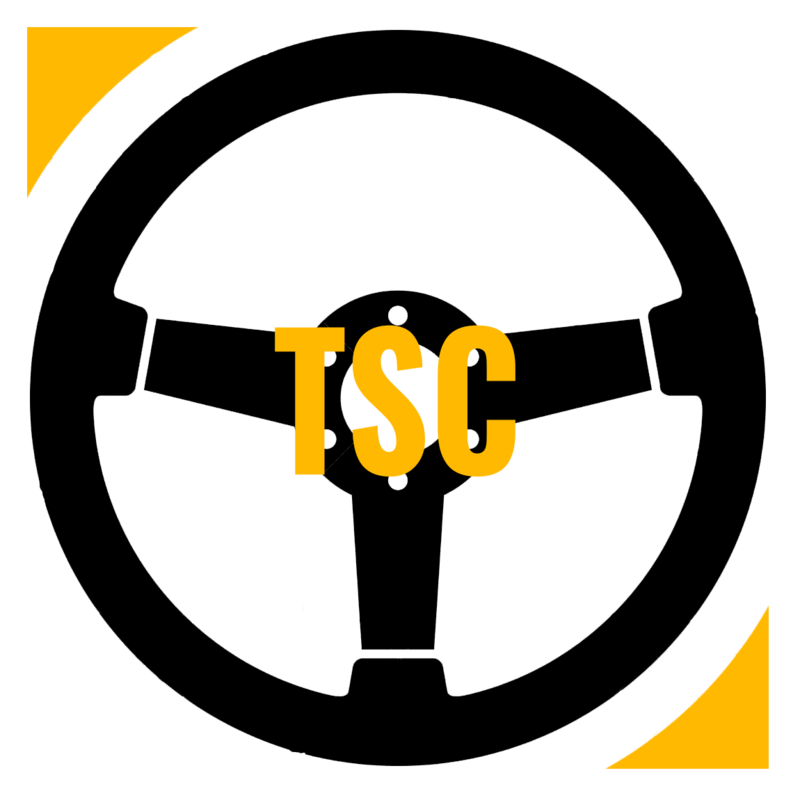 He managed to cruise back and was aided by another VSC. The podium ended up Verstappen, Vettel and Raikkonen, with Hamilton in fourth and Bottas fifth. Hulkenberg managed 6th for the second race in a row, Leclerc ended up 7th followed by an unexpected Vandoorne. Ericsson and Gasly rounded out the points scorers. DNFs were Ricciardo and Sainz with failures and Perez and Alonso with race related issues. 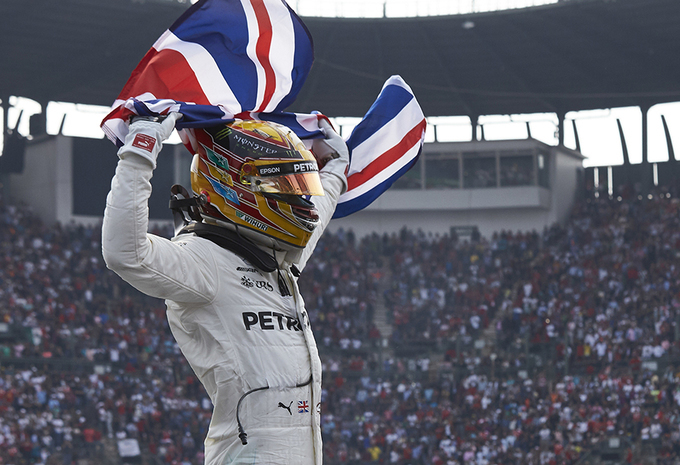 The result sees Hamilton equal Juan Manuel Fangio on the list of all time championship successes.